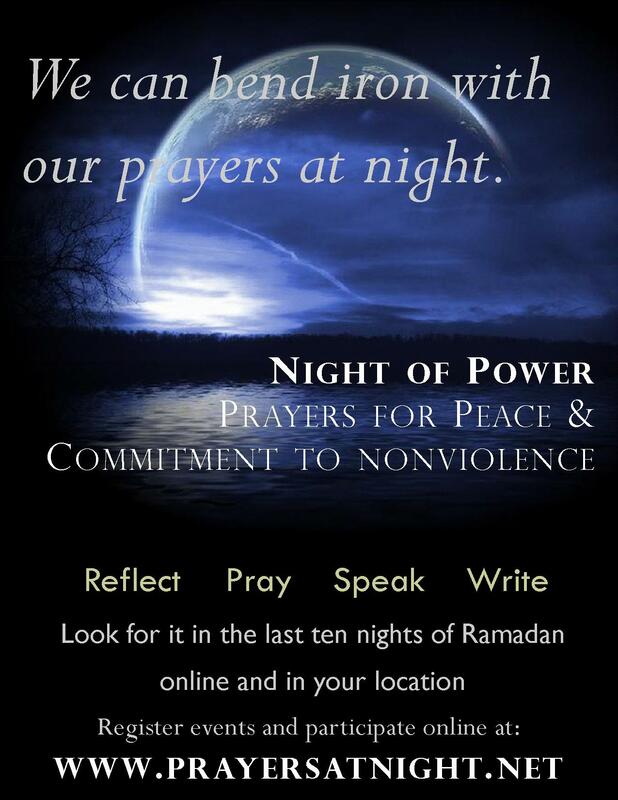 This Ramadan, make your intention peace! I’ve tossed and turned in the night, pondered and prayed, considered and remembered. What got me going? A report last night on the news: some people (Christians, no less!) are planning to burn copies of the Qur’an this weekend on the 9th anniversary of 9/11. This is déjà vu. In 1990, I was the chaplain supervisor for the Muslim faith group at Ft. Gordon, GA, the Army’s Signal center and School. Of the 80 members of the community about half were US soldiers, the other half were international students who had come to Ft. Gordon for training. When the rhetoric between the US and Iraq heated up in 1990, some of the soldiers under my care—I’m a Christian chaplain—were subjected to ridicule and worse. These were US soldiers who had sworn to uphold and defend the constitution of the United States, like ever other soldier, and who were loyally carrying out their duties. I’m reliving that experience today and will probably continue to relive it at least through the rest of the week. Every day we have the opportunity to change our behavior, our attitudes, our very lives. Actually, we do make changes every day. Usually the changes are so small that we don’t pay attention. Once in awhile, a “big moment” comes along, giving us the opportunity to make big changes by little actions. This week is one of those moments. We have an opportunity to learn about each other. We have an opportunity to affirm the need each of us has for security, safety and peaceful relationship. It may not be easy to take steps to meet our needs. In fact, it will require hard work. I am convinced that violence and insult will not bring the ends we desire. There are better ways. Some folks have dedicated themselves to making 9/11 a day of national service. I learned about this alternative at http://911dayofservice.org/ . I have decided that one thing I will do is to read a short passage each day from the Qur’an. My prayer is that our consciousness will be transformed, that we will seek mutual understanding, and that we will dedicate ourselves as a human family to the ways of peace. We (muslims from France) have to inspire from your actions.